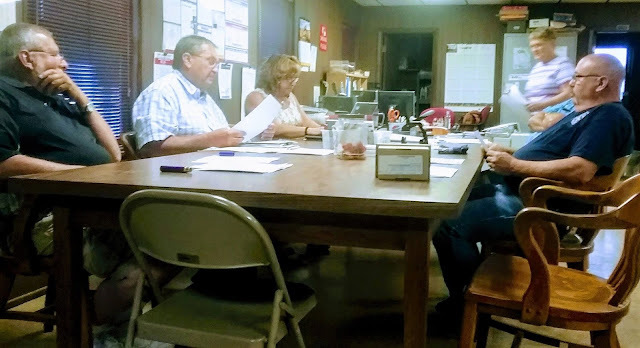 The Township meeting was mostly about that there will be a new Township Hall built sometime this year. There will be a lot of money and time spent on this project, and the bid lettings have begun. Last month, there was a meeting of bidders for dirt, and on June 27th, 2017, at 4:00 pm there is an open bid meeting for the construction companies. Any construction company can put a bid in for this job. If you know anyone who would be interested in this information, please let them know. The state of Illinois not having a budget is affecting the Road Commissioner being able to complete certain projects. That is just awful. We need to be able to ensure safe public roads and tend to the repairs when they are needed not whenever they get to it. This has gone on long enough! This is something that can not wait and it is completely irresponsible to put the public's lives in danger. Also, that is our money they are disputing over, and we are paying them to do nothing. It is apprehensible and not a lot anyone can do to change it. Get it together Illinois! There is a problem with the drainage at the Oakwood Cemetery. The drain pipe was put in around 20 years ago, it could be clogged or may not be able to handle all the extra water from new residential areas. Some board members will check into what is happening and fix it ASAP. I learned after the meeting last night that our two governing entities do not communicate enough. Isn't that kind of strange? We should all be working together to make our community better and helping each other out whenever we can. The way Illinois is handling the budget both the township and village may need to lean on each other through hard times.The next monthly meeting they could possibly discuss the winning bids. I am excited to see who will win! I would like to tell Milissa and Sue that they did a great job at their first official meeting. Milissa is now the Clerk, the person in charge of the FOIA, and now the Public Access Counselor, good luck girl.